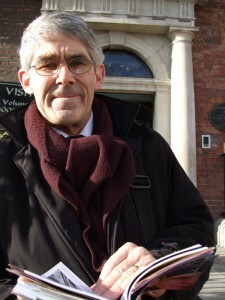 Gareth Huw Davies - Experienced travel writer publishes e-book on attractions in Britain’s towns and cities. Experienced travel writer publishes e-book on attractions in Britain’s towns and cities. Well-know travel writer publishes his first e-book on the many and varied attractions in Britain’s towns and cities. Click here. Awaydays in Britain – spoilt for choice. By Gareth Huw Davies. Published by Amazon for $.99. The e-book contains 29 sections, on towns, cites and a few counties mainly in England, with some entries too from Wales and Scotland. They include Bath, Durham, Chester, Lincoln, Brighton, Swansea and Glasgow. Wider areas covered include the New Forest and Hadrian’s Wall. Gareth has written travel articles in the national press for 30 years, principally for the Sunday Times, Times and Mail on Sunday. This is his first e-book. Bath, Birmingham, Brighton, Bristol, Bournemouth, Chester, Cornwall, Cotswolds, Dorset, Durham, Glasgow, Hadrian’s Wall, Leeds, Leicester, Lincoln, Liverpool, New Forest, Nottingham, Oxford, Portsmouth, Rutland, Salisbury, Shrewsbury, Somerset, Swansea, Whitby, Winchester, Wirral, The Yorkshire Dales. “This book arose from my travels around the UK over the past 10 years, to gather information for a series I write for the Mail on Sunday. Though I enjoy foreign travel, there is something peculiarly appealing about the short break on home soil. You don’t need to queue through immigration to visit a place which can be singularly different from your home town, city or village. “I’ve had deeply enjoyable days away in places that are no more than an hour’s drive from home. “The articles here are meant to help you choose a short visit – it could be a day trip, or the classic Friday afternoon to Sunday afternoon weekend – to a selection of towns and cities that I’ve written about. You may be wondering about the price. I decided to fix it at, roughly, the cost of a good biscuit in a coffee shop. And much less than a cup of coffee. I’d even like to think that readers might want to download the book in a coffee shop in one of the places I list, to inform, and inspire, their visit. Previous PostDriving down low carbon avenue	Next PostIs it time tourism industry embraced conservation issues?